We’ve been breaking it down, step by step, in weekly blog posts. This week, we’ll talk about additional documentation you may be required to submit when you apply to a graduate program. 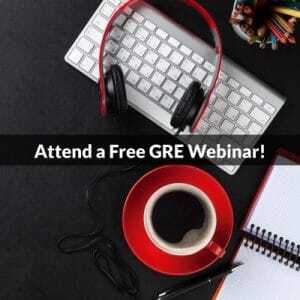 Make sure your read the application instructions carefully–some of them may recommend or require that you take GRE Subject Tests in addition to the GRE itself. This is mostly applicable to those seeking advanced degrees in the sciences, although there is one GRE Subject Tests in Literature in English that you may be required to take if you’re looking for an advanced degree in a related discipline. 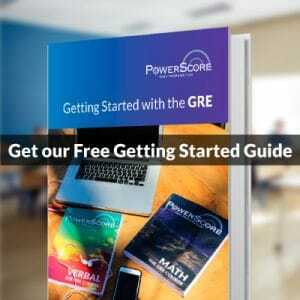 If you do have to take a GRE Subject Test, make sure you check out the GRE website; it has plentiful information on the subject tests, as well as practice information and booklets you can download for free. Some programs may require you to submit a one- to two-page department-specific application in which they will ask about your background in the field, may ask you provide responses for some short-answer question, and might ask you to list your motivation for pursuing an advanced degree in a particular discipline. Again, read the application instructions carefully. Often, these department-specific supplements will not be listed in the primary application, and will only be accessible through the departamental website. Make sure to double-check–and call the school if you’re unsure of the requirements. This is a fairly common requirement. It can take the form of many different things: a critical or scholarly paper, a term paper, a senior thesis, a master’s essay. In every case, make sure that your sample is extremely well-proofed (grammar, spelling, punctuation, tone, theme, cohesiveness) and is, ideally, written only by you (some schools specifically state they do not accept co-authored pieces). A few things to keep in mind: (1) Some programs have page limits on the sample. Stick to it! (2) Sometimes, departments will want the sample written about a specific topic. If they do, oblige them! (3) Some may request a piece that’s actually been published in a scholarly journal. If you do not have such a piece, contact the school and inquire as to what you can submit in its stead. Do not simply submit an unpublished piece! This is very self-explanatory. The only not here is to make sure you include courses that are truly advanced. You do not need to provide a full recounting of all courses in a specific discipline, only the advanced ones. Make sure you provide this list in whatever citation format (either MLA or APA) preferred by the institution. Again, this may be something that is not readily seen in the general application. Make sure to read the department- or program-specific application instructions, and that you stick to the content, length, and formatting specifications detailed. There are many different types of additional documents you may be required to submit as part of your application. Make sure to read the application instructions carefully–often, incomplete applications will not be read until all materials are submitted, and you can easily avoid these delays by submitting all required documents from the start.